Johnny Cash Vinyl Record Memories. This Johnny Cash Biography includes the true story of the man who wrote the "Orange Blossom Special" and their memorable live performance over 50 years ago. But first let me start with my Johnny Cash Story that also begins over fifty years ago. As we all say at some point..."I can remember it as if it were yesterday." I was walking down High Street in Hamilton, Ohio in 1958 with a couple of friends. As we passed a bar near the downtown railroad tracks the music coming from inside pulled me closer to the door. "Well come on in stranger and have one on Johnny." 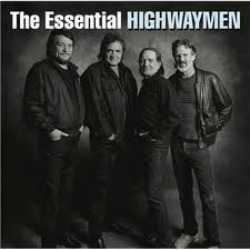 I listened to Johnny's Rockabilly "boom-chicka-boom" freight train sound with his Tennessee Three band early on and being an Elvis, Ricky Nelson, and Carl Perkins fan, Johnny fit right in with my favorite music sounds back in the late fifties. My Johnny Cash Biography - Favorite Johnny Cash Album memories. My best memories of the Johnny Cash albums are the ones I listened to with friends when I was stationed in the Philippines from '64-'66, and again from '68-'70. I had some pretty good buddies who listened to mostly country music, including Johnny, Waylon Jennings, Merle Haggard and others. 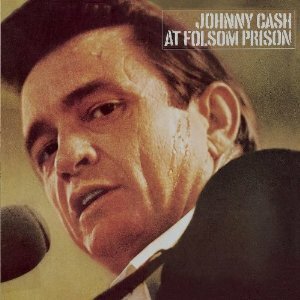 A big favorite was the "At Folsom Prison" album you see here. I still have the original album I purchased new. 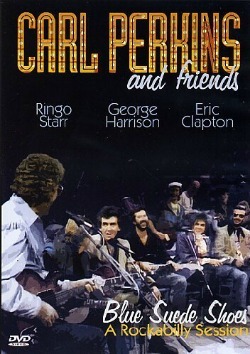 We would get together about every 10 days and listen to some great vinyl records on some really good stereo equipment. At the time very good stereo equipment was a Sansui 5000A 180W amp, Sansui SP 2000 speakers, a Dual 1219 turn table and an Akai 360D reel to reel tape deck. Some of that equipment I still have. Enjoy this video of Johnny and his friends singing "Folsom Prison Blues," recorded live in 1990 at the Nassau Veterans Memorial Coliseum in Uniondale, New York. 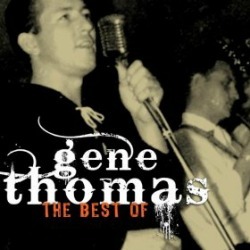 Continue below with my Johnny Cash biography and more vinyl record memories. If you listen to any vinyl record on good equipment there is no comparison to a CD. The vinyl sound will come to life. You will hear sounds that you do not hear on a CD. One of my favorite Johnny Cash songs to listen to on vinyl is "Orange Blossom Special." When you play this vinyl album it sounds as if Johnny is giving a live performance. Once you hear it on vinyl you'll use the CD for a beer coaster. And my favorite Johnny Cash Album Content is the "Orange Blossom Special" story as told on the back of the album cover by Johnny Cash. Read the story here. 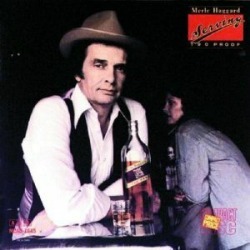 J.R. Cash (his given name) was born in Kingsland, Arkansas, in 1932. As a teen, he moved to Detroit and later worked on the Cadillac assembly line. Click Here and read how the #1 song of 1976, "One Piece at a Time," came about. After serving in the Air Force from 1950-1954 he formed a trio with Luther Perkins (guitar) and Marshall Chapman (bass). His first single at Sun Records in 1955, "Cry Cry Cry" was backed with "Hey Porter," a song he wrote while serving in the Air Force. 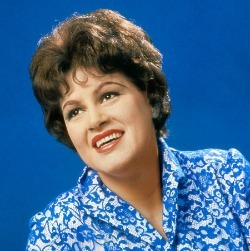 The single met with reasonable success on the country hit parade. 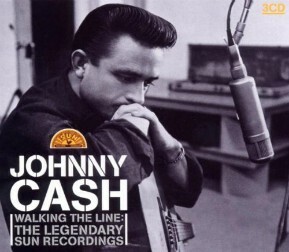 In 1956 Cash recorded his first number one single, I Walk The Line, and according to the Johnny Cash Biography, became the first Sun Artist to release a Long-playing album in 1957. But it was in 1956 that something unusual happened at the Sun recording studio. It was December 4th and Elvis came by to pay a social visit to studio owner, Sam Phillips. 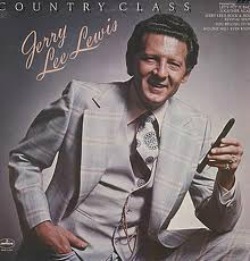 Carl Perkins was in the studio cutting new tracks with Jerry Lee Lewis backing him on the piano. Cash was also in the studio and the four started an impromptu jam session. Sam left the tapes running and the recordings survived and have since been released under what will always been known as the Million Dollar Quartet. Johnny Cash Biography - Johnny and June Carter. In 1968 he married June Carter, an established country singer. 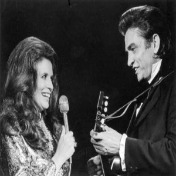 They continued to work together and tour for 35 years, until June Carter died in 2003. 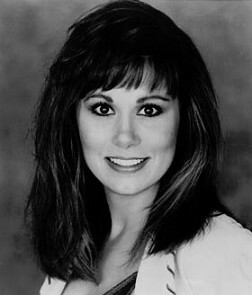 Carter co-wrote one of his biggest hits, Ring of Fire and they won two Grammy awards for their duets. 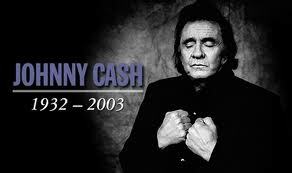 Johnny Cash died on September 12, 2003, less than four months after the death of his wife. Below are some of my favorite recordings by Johnny. I have placed videos with each set of lyrics so you can see Johnny perform live or on a slide show with each of my favorite Johnny Cash songs. Here are 36 highlights from three albums by Country's greatest supergroup! See all albums in one location. 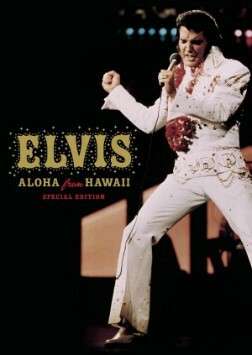 Growing up with Elvis...My Story. Best Bar Room Song Ever? Waylon Jennings Songs and lyrics personified the outlaw movement of the 70s. Read more. 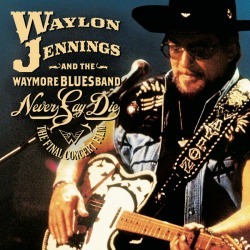 Visit the Amazon Waylon Jennings store. See all 203 albums in one location. I Want to Be A Cowboy's Sweetheart.